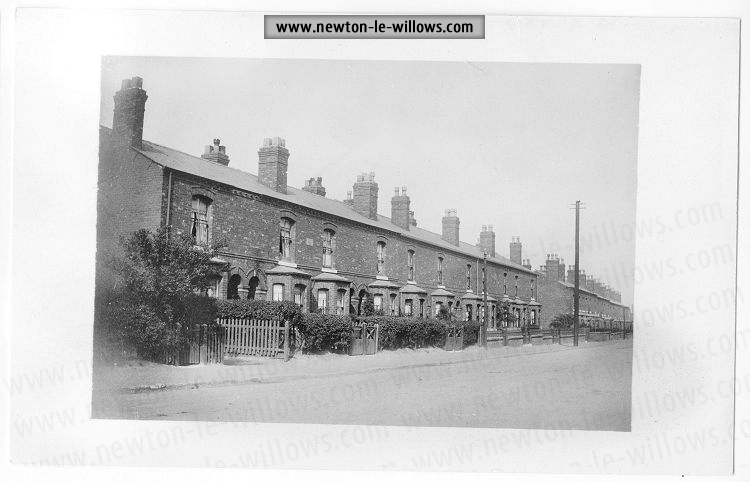 I have spent the last few hours transcribing a thesis by Lynton J. Smith which I was loaned by Geoff Simm into a text file, so that It could be used here into the website, Its a splendid work on the growth of Newton le Willows & Earlestown between 1830 – 1945, at the moment the thesis is missing a few diagrams, but all the text is here, I will add some maps later. The spread of urban areas in this work has, so far, been treated largely as a study of maps of various dates, supplemented by documentary and descriptive material. But the study of urban development involves more than this, since it is of great importance to know who built the towns, and why. 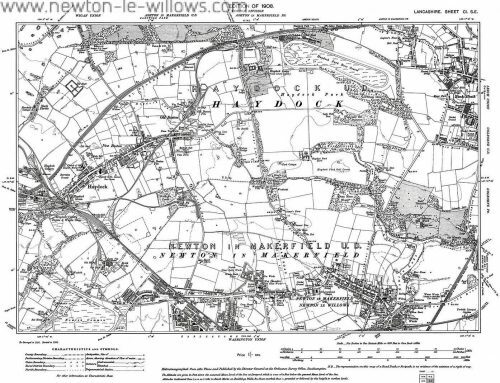 Newton le Willows (1) is admirably suited to a detailed study of this kind, because of its convenient size, which allows a thorough treatment of the material available. One important factor has been that most of the land has been in the possession of the Legh Family (2): from the estate records it has been possible to examine closely the dates of leases of land, and to follow the spread of the built-up area in certain districts, particularly Earlestown. There are three types of land against which the urban area has developed. An inlier of Bunter Sandstone provides the site of the old village of Newton; a broad spread of boulder clay and several alluvial tracts limited to the stream courses which find their way across the flat lands to the Mersey. The location of the settled area is not subject to floods. Water has been available on the site from relatively shallow wells and as the expansion of the population has taken place, it has been possible to tap other resources in the underlying bedrock of the immediate neighbourhood. It seems, therefore, safe to say that in detail the development has not been substantially affected by the local physical conditions. 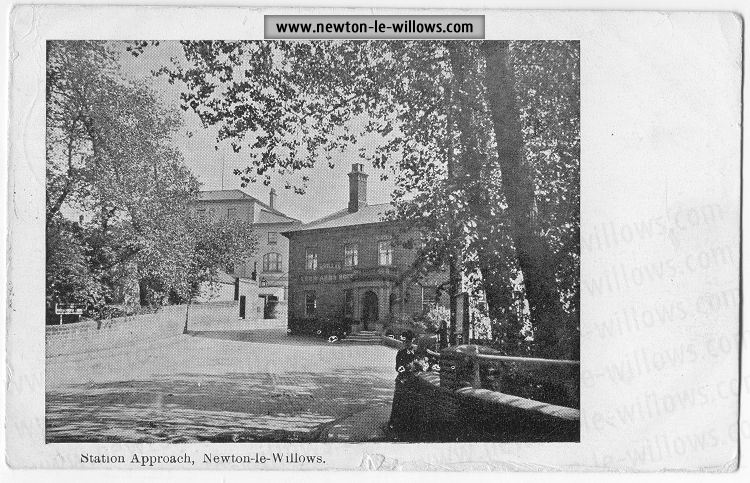 Within the relatively restricted urban frame of Newton le Willows, it is possible to discount differences in the topographical background when considering the forces which have shaped the present day urban unit. In 1815, David Thomson writes that “most English towns were picturesque county towns, set in a country side of unspoilt beauty (3). Such a description might have been applied to Newton in 1830, when two years before the Reform Bill, it was still a borough which returned two Members of Parliament (4), although its population was only 2,139 in comparison with the 142,026 of Manchester, which returned no members. Newton also lacked any form of local government (5), truly it was a “Rotten Borough”. Yet in this township, on 15th September 1830 an event of great importance was witnessed: the opening of the Liverpool-Manchester Railway. It was the first major change in Newton since the Sankey Canal had been opened about 1755. The position is well portrayed by the map of 1831 (Fig. 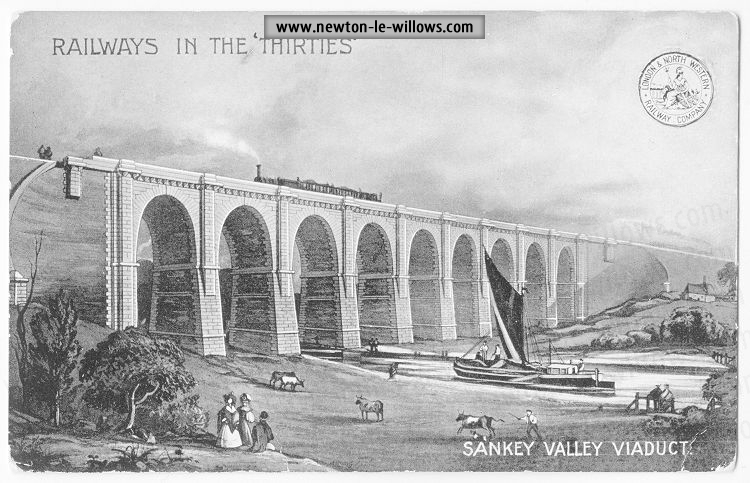 36) although its validity may be questioned: it is dated November 1831, yet it does not show the Warrington and Newton Railway which was opened on 25th July of that year. Nevertheless, it is of value in providing a convenient picture of the Rotten Borough of Newton before its disfranchisement in 1832. The maps of the day show a somewhat decayed market?town, with buildings lining both sides of its main street, now called High Street, which formed part of the Turnpike Road, between Warrington and Wigan. The remainder of settlement was strung out, very unevenly, following mainly Crow Lane and Newton Moor. It was, in fact, merely a market town ? not even a prosperous one. Yet to one person writing in 1830 it seemed that prosperity was near: enthusiastically he stated, “a new railroad to Warrington is about commencing which, when united with the Liverpool and Manchester railway, will much increase the business of the place.”(7) Nor was this all: for the Wigan Branch Railway from Parkside to Wigan was opened in 1832(8). To an imaginative person of that time it might have seemed that Newton was destined for a great future; the years have proved otherwise. Very slowly a small settlement was developed by the chemical firm around three sides of a square, called rather imaginatively Vitriol Square. It was not a mushroom growth and, as the map shows, only the north side had been completed by 1838, the remainder being built after 1845. Both theories are probably incorrect since, as maps of the time show, the Village was not completed by 1838, some seven years after the opening of the railways mentioned. Of course, the part in existence at that date may have been built by the Warrington and Newton Railway the records of which are missing, but there is no mention of a village in the Minutes of the Liverpool and Manchester Railway Company. However, the shape of the village is somewhat unusual, tapering southwards to a point; this can be explained by the shape of a lease of land to Taylor and Stephenson on 30th May 1833, which has been added to Fig. 37. The plan attached to this lease also shows a small foundry, but no village. (13) It seems safe to suppose that this village was built by the Vulcan Foundry, and forms the second contribution by industry to the growth of the town. A similar foundry was established three years later, alongside the Liverpool and Manchester Railway, by Messrs. Jones Turner and Evans. It was called the Viaduct Foundry. Here, too, a collection of workmens houses grew up, and again they were not all built at once. The fourth of these firms, to which earlier reference was made, embarked upon “the manufacture of crown glass, on a large scale.”(14) , Ackers, Abraham and Companys works were founded upon land to the north of Crow Lane, a site which was to be used by various glass firms until the early years of the present century. The firm, however, built only a single row of workers cottages, which have since been replaced. The Tithe Survey map of 1838 provides a good picture of the township at that time (Fig. 37). To the northeast was the old village of Newton which had changed hardly at all; to the west and the southwest were what might be termed the four “cases” of industry and their settlements. At three of these the settlements were not complete ? a reminder of the smallness of these undertakings in their early years (Fig.37). It is interesting to note that by 1845, although the buildings of small housing estates by the established industries had been almost completed, there had been no noticeable addition to the settlement pattern by any other individuals, or groups of individuals. The village of Newton had changed very little since 1830, and over the rest of the township no noticeable intensification of settlement had taken place, except in the new single industry communities. A question which may now be asked is, why should the London and North Western Railway Company choose the Viaduct Foundry as their future wagon building and repair works? In Chapter 2 the decline of this establishment has been analysed. It appeared that the firm was in financial difficulties. (20) Here, then, was a works, situated near an expanding coalfield and an industrial area which would require a large number of wagons for conveyance of raw materials and products; it was centrally placed on the London North Western Railways system in South Lancashire; the owners were only too willing to sell ; and there was ample open land in the vicinity for extending the works and for building workers houses, as at Crewe and Wolverton. The works were handed over to the Railway Company by the 8th February 1853,(23) the lease beginning on 1st March. (24) On the wedge of land north of the Foundry and west of the Haydock Colliery Railway, on virgin country, the Wagon Works and the town of Earlestown. (25) were to be built in the next 60 years, mostly during the next half century. In 1853, little change would have taken place since the Ordnance Survey six-inch to one mile map of 1845, except for the row of cottages built by Jones and Potts in Pepper Alley. class.”(28) The contract to build these was given to a “Mr. Stone for ?138-5-0 each,”(29) together with “an order of Plans and Estimates for a house for the Superintendent of Wagons … to cost ?650.”(30) The Companys houses were undoubtedly the seeds from which Earlestown grew (Fig. 40). The signing, in 1853, of Stones second lease adjacent to his first, was a shrewd action, for he acquired control of the triangle of land near the station entrance, an area which was likely to be developed first. In the following year, he made an even more astute move in leasing the large tract of land to the east of the Works where expansion was likely to – and where in fact it did – take place (Pig. 39). He was undoubtedly the dominant personality in the early history of Earlestown: he must have erected many of the earlier buildings, besides the Companys houses. Other leases were taken out in 1853 and these, too, were near the railway station in Queen Street, Bridge Street and Earle Street. A. C. Leete was the lessee in that year of a plot in Cross Lane, which was exceptional in being a little distance from the nucleus of the new town (Fig. 39). In the following year, besides Stones lease, there were others, the largest of which were in King Street and Fairclough Street, within a furlong of the station. Small ones were taken in Queen Street,Earle Street and Bridge Street, and one in Cross Lane upon which a house of some size was built. Two plots in Fairclough Street were leased by Jas. Fairclough, the flour miller; on part of these were built houses for his workers, thus forming the second contribution by industry to Earlestowns expansion. In the years 1853 and 1854, following the acquisition of the Viaduct Foundry by the London North Western Railway, there had been, relatively speaking, a boom in land leases probably caused by people who hoped for a sudden development. This was not to be, and in the period from 1855-60, there was a noticeable fall in the area of land leased; what was leased was confined to the parts of streets where development was taking place, namely Bridge Street and Earle Street, with one exceptions this was an irregular plot north of that taken by the Company for their housing estate; it was conveyed to the Rector of Newton as a site for the Earlestown District Infants School built in 1857 (33). This provision prohibited the construction of the terrible closed courts like those which existed in Nottingham. 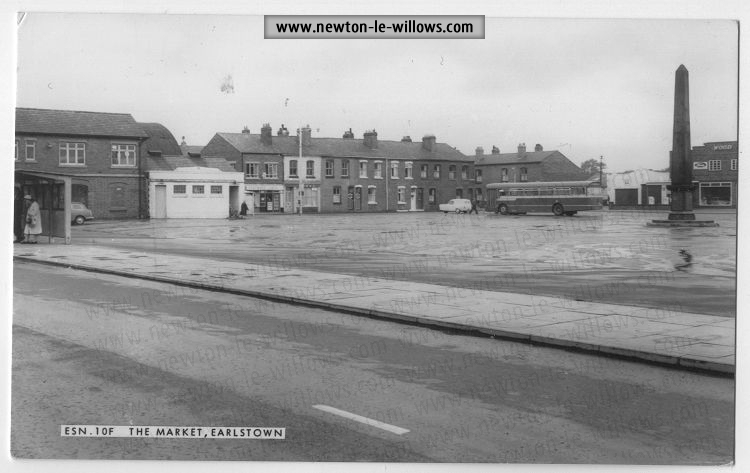 (42) Of course, the urban development of Earlestown came relatively late, so that advantage could be taken of new engineering and sanitary ideas. For instance, hardly any back-to-back houses were built in Earlestown, or in the rest of the town, and it is almost certain that those which existed until recently were built before 1855. The Companys houses were soundly built and well ventilated, each row of houses being separated from the other at its rear, by a narrow street (Fig. 40). After 1855 the remainder of Earlestown was built in a similar style, which was admirably suited to the grid?iron pattern, the vogue of town builders in the nineteenth century. Although speculation in land leases declined between 1855 and 1860, this period was one of consolidation, when the town made up its deficiencies in local government and education; moreover, in 1860 the Earlestown Industrial Cooperative Society was established. The number of land leases increased in 1861, 62 and 63; again these were near the railway station. Ten plots were leased along the lower part of Market Street which, in later years, became the main shopping centre of the town. Haydock Street was developed parallel to Market Street, five leases being taken, whilst on the northwest side of Bridge Street the remaining open land was leased (Fig. 39). In Cross Lane, on its western side, there were further leases on which single houses or pairs of houses were built as private residences, at a short distance from the emerging town centre. On the south side of Earle Street six small leases were taken on which were built pairs of cottages which acquired the appearance of a terrace when completed: five houses were also built on a larger plot; all, it will be noticed, were close to the new works, while adjoining the Earlestown School more land was leased. 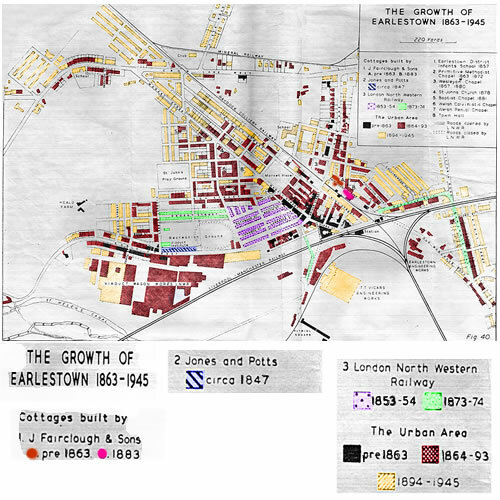 The map of 1863 is the first detailed one of Earlestown, and it is conveniently dated because it enables us to consider the progress made in the first ten years of the new towns growth. The effect upon the area made by the establishment of the wagon works had not been outstanding. On the map there are about 375 buildings of all kinds,(43) the majority of which would be cottages; there were two public houses and one school. Of the above total, the Railway Company had built 219 workers cottages and a superintendents house, amounting to a contribution of about 55% of the property built. The remaining 150 or so buildings had been erected in most cases by private individuals, except for nine houses, the flour mill in Fairclough Street built by J. Fairclough & Sons and the row of 27 cottages in Earle Street built by Jones and Potts; if these are added to those erected by the Railway Company, the total contribution by industry was about 64%. Earlestown, at this date, was certainly a railway town; it might even be termed a “pioneer” town, because there could only have been a few shops, and there were only two public houses; although there was an Improvement Commission for the whole of Newton, its offices were in the High Street of the old village. In the years since 1863, the spread of the town can be traced on the map of leases, although this is not absolutely reliable since building may not have taken place immediately after the date of the lease. In the majority of cases it did, however. It is not necessary to describe the leases taken out during each selected period, for Figure 39 shows them clearly. What is more important is the picture of Earlestowns future growth, and the contributors involved after 1863. 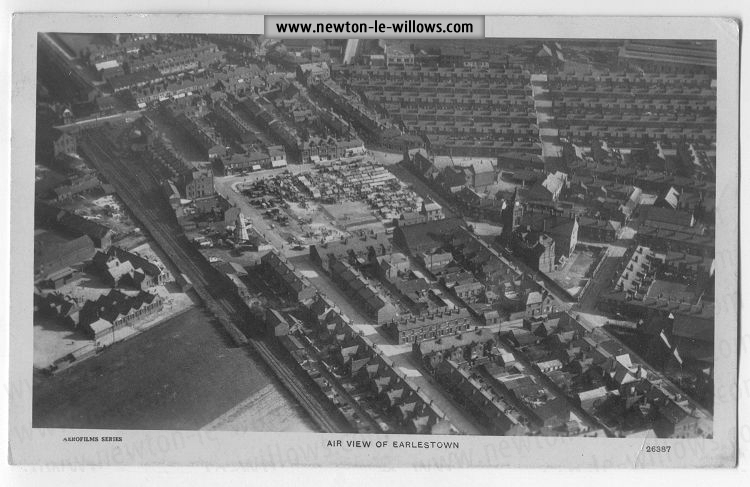 Earlestown began to take shape between 1863 and 1891(48) two factors influenced it. The more important of these was the Haydock Colliery Railway (49), which was built about 1830. Like all railways, it has served as a barrier, preventing the spread of the town eastwards. It is interesting to note that the only urban growth east of the railway has been near to where roads can cross it. The Liverpool and Manchester railway is the second factor, for this had also been a barrier. Both railways have largely confined the growth of Earlestown to the wedge of land between them. Since the origin of the town was close to the station, which was near the junction of the two lines, Earlestown has been forced to spread westwards and north?westwards, thereby forming an unusual urban unit. The outward spread of the town has by no means been even, for there has not been a methodical year?by?year system of land leases adjoining one another. In many cases gaps were left which were filled in at a later date; this is particularly true of the period from 1871 to 1900. Examples are to be found at the north?western end of Market Street and Haydock Street, and among the leases in the area between Viaduct Street, Heald Street and Earle Street. One area which was leased very late was the southern side of Bridge Street, where the workhouse stood in 1845; this may have been the cause of late development, although no workhouse is shown in 1863. The land was not leased until 1871. In a community such as Earlestown which grew up over a long period of time it is unlikely that any comprehensive town plan was ever formed in the initial stages, beyond the adaptation of the typical nineteenth century grid-iron street pattern to the awkwardly shaped site. The layout of the town was controlled by the Legh Family, particularly by W. J. Legh, and their Estate Agents. Market Street, running parallel to the Haydock Colliery Railway, forms what might be called an “axis”, to the west of which the true grid?iron pattern adjusts itself to the northern side of the Railway Companys lease on the south side of Legh Street. Some thought was given to the street pattern, for it was very neat and even. Moreover, the triangle of land on which the Town Hall stands was not given to the Commissioners until 1890 long after the land around it had been leased. Was it retained as a possible site for a Public Hall when one was required, or did its inconvenient shape deter builders, when more suitable plots were available? There is no evidence to provide a satisfactory answer but, since the church was built in 1878, why was the Town Hall site, which is the same shape and size, not used? Perhaps it was being reserved for some future public building. Mr. W. J. Legh, frequently proposed new streets,(54) most of which were laid out and the adjoining lands built upon. Although they do not appear to have “rigidly directed the sitting of new property and the laying out of roads,”(55) as did the Earls of Stamford in Ashton under Lyne, and the Dukes of Devonshire in Barrow in Furness,(56) it is obvious that the Legh Family contributed a great deal to the planning of Earlestown from its inception. The building of Earlestown, after 1863, was carried out almost entirely by private individuals. It is impossible to enumerate the many lessees of small plots, except to say that they were active at all times. The contributions of the more outstanding people, who were often builders, have been marked on maps. As we have seen, Thomas Stone was the first of these, being followed by George Bailey who took out his first lease in 1861. (60) Of all these lessees, George Bailey took out the highest number of leases between 1861 and 1885. The complete contributions of these builders, however, cannot be fully estimated, because they were often employed in building property for other lessees. Information about these activities is very difficult to obtain, and no complete picture can be presented. Furthermore, in the earlier years, before the Commissioners began to organize their labour, much of the contracting work was done by such men as Alexander Brown, who laid out the Market Place in 1870 (61). Among the many lessees who had property built for them must be included such groups as the Independent Order of Oddfellows,(62) the Earlestown Cooperative Society,(63) the Sons of Temperance Friendly Society (64) and the Northern Investment Company. About 1893 an Earlestown Building Society (65) was in existence; this would provide a source of money for the smaller speculators. Private individuals and groups were thus playing a very active part in the towns growth. Industry was not so outstanding in its efforts after 1863, but it was by no means played out. During the 1860s the Railway Company had demolished the Library, Reading Room and mens Dining Room at their works. A substantial building was erected in 1874, called the Viaduct Institute, later in the seventies Mr. Emmett (66) submitted a memorial from the workmen “for a field for a Recreation Ground … with a recommendation that the request be complied with, It was (67). Such amenities were no doubt required, but it is interesting to note that railway paternalism did not extend to them unless they were requested. In one area the Company prevented the spread of the town because of the need to extend the Works. About the year 1863 streets were proposed south of Earle Street, of which Canal Street is a remnant. Leases were taken between 1863 and 1870, one lessee being Alexander Brown. Houses were built upon his plot,(68) only to be demolished later as the land was compulsorily purchased by the Railway Company in 1872(69) and 1875.(70). By these actions the Company confined the later building of Earlestown to the north of Earle Street. Earlier, the Railway Company had made an adjustment in the street pattern, by closing Wargrave Lane from its junction with Fairclough Street to the level crossing on the curved branch line to the south. This removed two level crossings on the main line. A new road was cut eastwards from the end of Fairclough Street, turning southwards beneath the Liverpool?Manchester Railway, to join with Wargrave Lane (71),All this was done on the Houghton Estate and helped to open it cut to speculators(72). Later with the establishment of T & T. Vicars Engineering Works south of the Liverpool Manchester Railway in 1867, together with the Goods Yard traffic, congestion must have been very great at the level crossing in Chemical Street. In 1879 the Railway Company obtained permission to close Chemical Street, and to build a new road and bridge over the railway (73). The founding of T & T Vicars works in 1867 and its extension later may have added to or created “a deficiency in house accommodation for the population which existed in Earlestown”(74) in 1871. The question of “the crowded state of houses in the district”(75) was discussed again in 1872. In the following year Mr. Emmett reported that “the house accommodation for the workmen employed is very deficient and will be still more so when the Wheel Works are completed; there are now at least 60 houses with two families in each, of which the men bitterly complain, and good hands are constantly leaving.”(76) Consequently, he recommended “that at least 50 more cottages be built as soon as possible.”(77) Soon after, 97 were built in Regent Street, on the Companys original lease. Other industries still made their contributions: about 1883 J. Fairclough and Sons, the corn millers, erected a few more cottages,(78) on part of their lease in Fairclough Street, but the rest of this land was probably built upon by private individuals. What promised to be industrys major contribution since 1863 began in 1877, when Mr. Jas. Evans, of Richard Evans Collieries, took out two leases, one of which was very large, to the north and south of Crow Lane. Larger leases appear to predominate after 1891, until 1919. No leases were taken out during the First World War, and it is safe to say that Earlestown was almost complete in 1914. From 1919 until the end of our period, few further leases were taken and the only acquisition of land worthy of notice was for St. Johns Park. Most of the Houghton Estate was leased between 1891 and 1919, again in large plots. The map of 1891 shows that Earlestown had matured considerably since 1863. 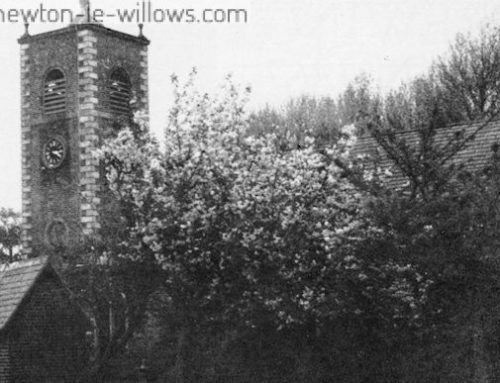 Now a Church and four Chapels (81) had been built, and a Town Hall was about to be erected. No houses, however, had been built on Richard Evans leases and the north-western end of Market Street and most of Haydock Street was undeveloped. A lease on the eastern side of King Street, taken as early as 1853, was still only partly built up. Cross Lane by now was lined by a number of villa type residences, usually in pairs. There were others in Crow Lane. 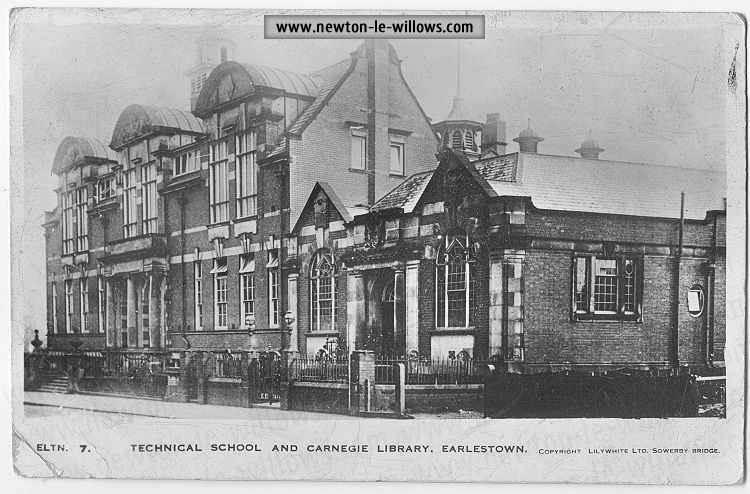 Between 1894 and 1945 further building had taken place in Earlestown, most of it before 1914, if the dates of land leases are any criterion. The northward and westward extension of the town continued particularly at the northern end of Market Street, along most of Haydock Street, and to the north of Cross Lane on the land leased by Richard Evans and Company. Nearby a new school had been opened and another had been built to the north of the Haydock Railway Colliery, in conjunction with some other property. Other building had taken place at the western end of Earle Street, particularly in Heald Street. This northward and westward expansion was balanced by a noticeable eastward extension in the Collingwood Road and Rydal Street districts of the Houghton Estate. Some other building had occurred along the new Wargrave Road. Finally some infilling had occurred in parts of the township, particularly in King Street and the southern end of Market Street. The completed town centre with the fully developed Railway Company land, the Market Square, and the Town Hall, can be seen on Plate 1. The intensively built up nature of this area, with its terraced houses and backyards, is very evident. In this study the whole of Newton-le-Willows is being examined, and Earlestown forms only one part. Other districts have developed, notably around the old village of Newton and, to the south of the Liverpool and Manchester Railway – the Wargrave Estate. The maps showing the village of Newton in 1831, 1838 and 1845 tells little about it except that it consisted “of one broad street distinguished by its numerous public houses.”(83), between the first and last of these dates hardly any change appears to have taken place. Before 1830 little, if any, land had been leased, and the whole village belonged to the Legh Family. The opening of the Liverpool and Manchester Railway in 1830 does not seem to have been responsible for the leases taken out before 1840 since they all date from 1839 and 1840. There were eight of these on both sides of the High Street, and all were leased by private individuals who, throughout Newtons growth, were always dominant. After 1841, a familiar name appears among the lessees ? 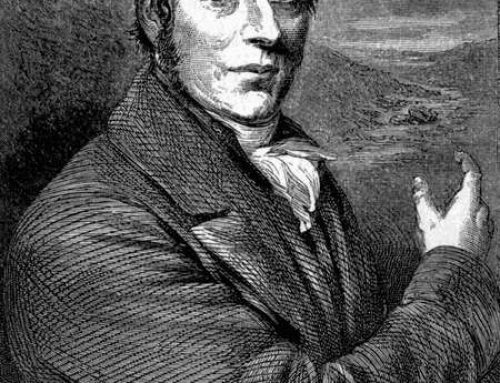 that of Thomas Stone, who first leased land in 1849 in High Street. A year later, he leased two plots in Alfred Street south of the railway station. On all these Stone built rows of cottages. In the next decade he took three more plots on the north side of High Street, and one to the north of the railway station in ! :ill Lane. After 1855, his name appears no more, doubtless because he was occupied with the new town of Earlestown. Private contributors continued to lease land and to build property in High Street, which was almost completed by 1870. With the exception of Thomas Stone, none of the lessees was so speculative as to deserve mention except A. C. Leete who leased plots on both corners of Rob Lane in 1854. Until about the middle of the nineteenth century Newton was certainly a mere one street village. The exact date of the appearance of Mercer Street is impossible to give, but its eastern end was probably taking shape about 1849, when Thomas Stone and Thomas Winstanley built cottages on their leases. This end of the street was finally completed when land was given for the St. Peters and land opposite in Golborne Street was leased. More plots were taken towards the western end of Mercer Street, between 1871 and 1900, again by private individuals. The first step in the building up of Birley Street was the erection of the Schools, the money being provided entirely by voluntary subscription, in 1861. (84) Later leases were taken from 1881?1919 the last major lessee being H. & R. Investments in 1934; this firm constructed rows of modern houses, some semi-detached. Until 1919, the houses in Mercer Street and Birley Street were terraced, except at the eastern end of the latter where four semi-detached houses were built. Park Road was similar to Cross Lane in Earlestown, forming a late nineteenth century better class residential areas here, large houses of two or even three stories were erected, both detached and semi-detached. 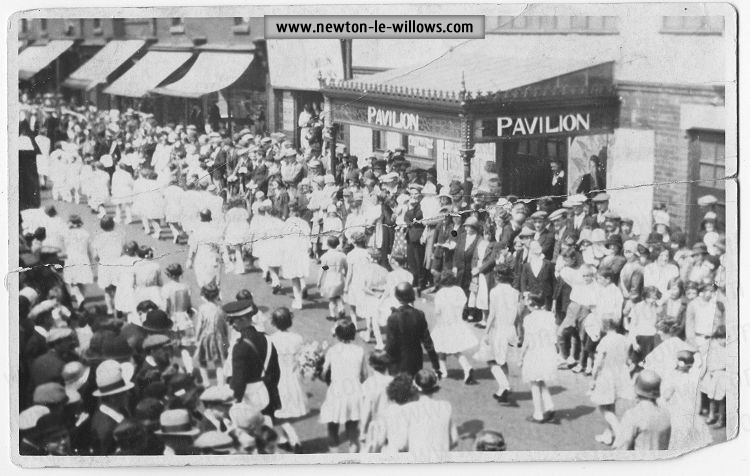 As in Earlestovn, the Legh Family has made its contribution to the planning of the area, and most of the credit must again be given to W. J. Legh and his Agents for, during his life-time, nearly all the streets of the present day Newton were defined. Some were proposed by him south of Birley Street in 1893, but they were never laid out. (85) It was no doubt he who conceived a scheme to make the land on both sides of Newton Lake into a high class residential suburb, about 1864. (86) Similarly there was a smaller scheme for the land on the eastern side of the Winwick and Golborne Railway, but no plan of this exists. (87) The title of the main scheme was “A Design for Laying out the Land Adjacent to the Here at Newton-le?Willows for the erection of Villa Residences”. Both schemes were developed further than the drawing board, and the main roads to pass through the areas were macadamized. Their remains are still visible today amid fields which were never built upon. 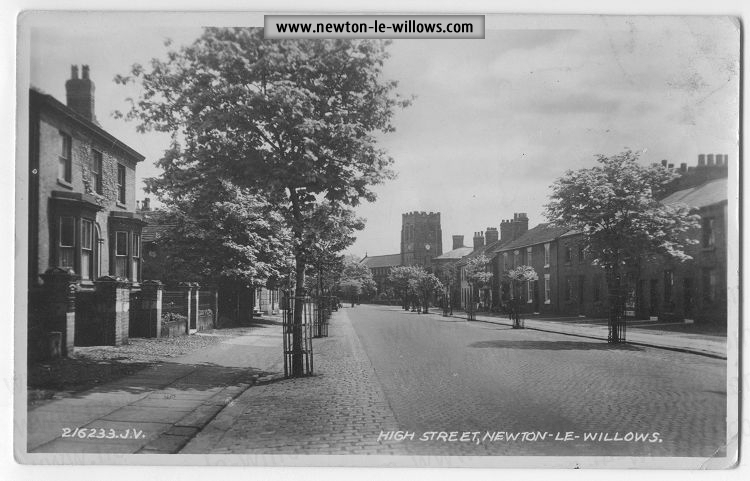 Had these plans come to fruition this part of Newton-le?Willows would probably have become a residential district for some nineteenth century industrialists and others, who in their turn might have caused Earlestown to expand further. Of the 59 plots drawn up, only number one was leased 1874 by John Jones who built Mere House. The only reason advanced for the termination of the idea is that the fumes from the paper mill – established to the south of the railway in 1861 – were liable to be a nuisance (88). 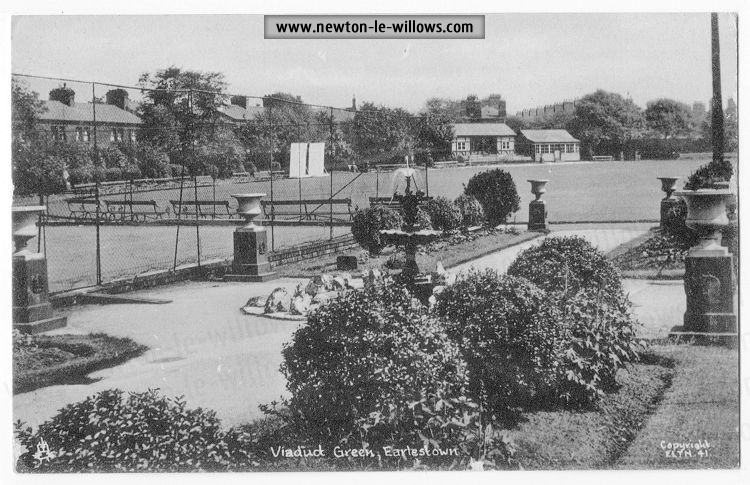 However, some villa residences were built in their own grounds in the eastern part of Newton, the dates of the leases being Brookside and Redclyffe 1855, Willow House 1856 and Park House 1860, the second being leased by George McCorquodale, the owner of the nearby Printing Works. So far, industry had only discouraged building. 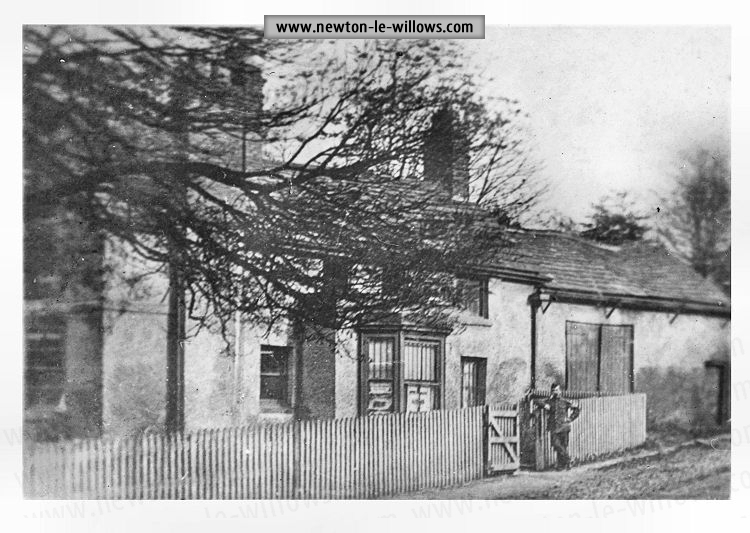 The first major industry to appear in Newton was the Printing Works, established in 1846 by George McCorquodale, in the old South Lancashire Conservative Hall and Legh Arms Hotel near the railway station. A further lease was taken in 1856 presumably for expansion, and in 1856 the estate of Willow Bank was acquired. The only property built by them was in Southworth Road at the end of the century, although in 1893 they did propose to lay out streets and building plots in the grounds of Willow Bank. (89) The scheme, however, was never carried out. The only other industry was the Paper Mill established by Gillespie and Mason in 1861, which was purchased in 1911 by L. F. & E. Cadfield Ltd., and used as a Bleach Works. Gillespie and Mason did not build any property to house workers; nevertheless, they did later purchase some in Birley Street. Yet the appearance of the Paper Mill in 1861 did attract a little settlement in Mill Lane opposite the Works. The land was leased by J. Dwyer between 1861 and 1866. It is interesting to speculate as to why these two industries did not build property for their workers; for it is known that there was a shortage of accommodation in their early years. Unlike the London North Western Railway Company, with its great assets, these were small firms unable to afford the expense of building and maintaining a housing estate for workers. Their very existence may have been precarious, as is shown by the closing of the Paper Hill in 1908. With regard to housing and streets, the first bye-laws were set out in the “Newton District Improvement Act” of 1855; these were superseded by a fresh one in 1869 made under the provisions of the Local Government Act of 1858; by these back streets had to be provided, and the minimum dimensions of houses were laid down. The Commissioners enforced these bye-laws very rigidly, and they constantly exhorted and even threatened property owners to make up new streets. Only once did the Council propose a new road, Victoria Road; it ran from Cross Lane to Wargrave Road and was laid out in 1900.(100). Thus the Commissioners and the Council had contributed, somewhat indirectly, to the growth of the town, the actual building being left to others. However, in the drive to end the shortage of houses, after 1919, the Assistance Scheme of that year enabled the Council to erect their own houses. 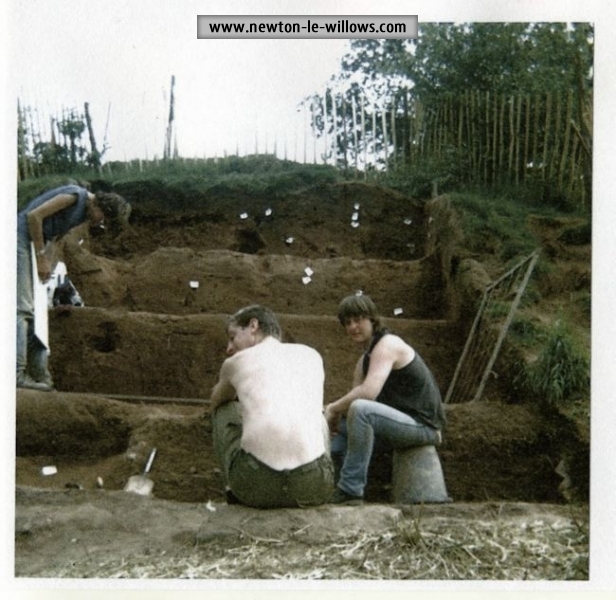 In this first programme, 60 houses were built forming; the first part of the future Wargrave Housing Estate, which was ultimately to contain 987 dwellings. The houses of this scheme were completed in 1921 and 1922. An Act of Parliament in 1923 gave local authorities permission to build more houses and the Council proceeded to erect a further 243 on land adjoining the existing 60. A second Act the following year permitted more houses to be constructed, but not taken of until the above scheme was completed. Then from1927 until 1935, 673 more houses were constructed. The Wargrave state was finally completed when the powers of a third Act passed in 1930 were used, and a further 11 dwellings were constructed between 1934 and 1935. The powers of this let were then invoked to build the Cross Lane Estate of 243 houses from 1936 to 1939. The Second World War prevented building of this kind, but in 1945, after the cessation of hostilities, the Fairbrother Estate was commenced. By the end of 1945, 42 houses were completed or under construction. Besides the major areas of urban development, there was during ? and since – the late nineteenth century until 1919, scattered settlement along the main roads of the town, with noticeable clusters at Wargrave and in Cross Lane near the old Gas Works. Since 1919, building has taken place along Park Road South; the two villa residences in Park Road North, “Park House” and “Brookside” have been broken up to allow similar development. Other houses have appeared in Southworth Road, Bridge Park, Grosvenor Gardens, Vista Road, Ashton Road and Victoria Road. All the property has been built by private individuals, and, since 1919, consists mainly of semi-detached houses. 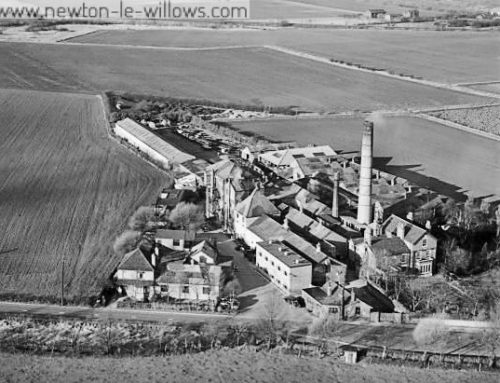 The urban development of Newton-le-Willows from 1830-1945 is the story of an old village, of 2,139 inhabitants, gradually transformed by industrial paternalism, private speculation and enterprise, with subsequent enlightened local government, into a thriving modern town of 21,862. Industry was the first contributor to the settlement patterns it was the “raison detre” of the separate urban unit of Earlestown, to be replaced by private enterprise, as the town came to maturity. 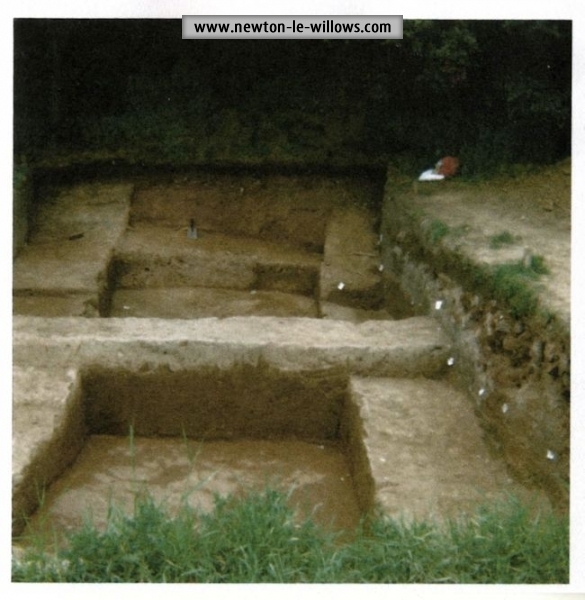 Very different was the expansion of the village of Newton, the growth of which throughout was controlled by private individuals, with industry only an incidental partner. Everything since 1855 was administered by a local government which, though at first it merely provided services for the community, eventually itself made important contributions in the fields of planning and building. (1). 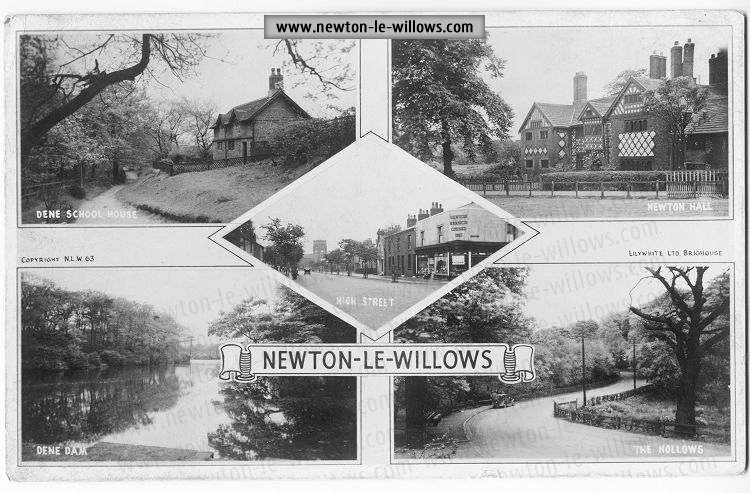 “By resolution of the Council, dated 10th January 1939 … the name of the Urban District was changed from Newton in Makerfield to Newton le Willows, as from 1st March 1939, under the provisions of S.147(1) of the Local Government Act 1933 “Newton le Willows U.D.C. Year Book 1939-40, p.7. 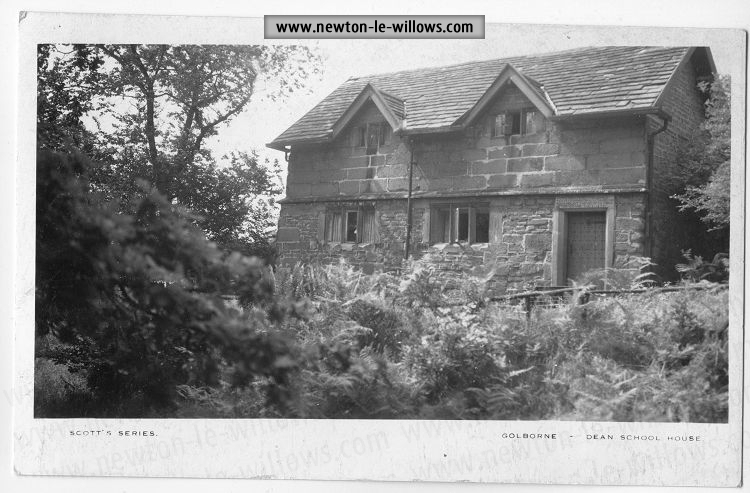 Note: During the nineteenth century the name was often spelt Newton in Mackerfield as in the Act of 1855 – 18 & 19 Viet. Chap. c.
The modern name will be used throughout, except in quotations. (2). The Legh Family were Lords of the Manor. (3). David Thomson, England in the Nineteenth Century, Pelican History of England, Vol. 8, p.13. (4). The others in Lancashire were Clitheroe, Lancaster, Liverpool, Preston, Warrington and Wigan. (5). This statement is based upon “the account given of this borough by Mr. John Fitchett, steward of the manor and fee of Makerfield, and of the barony, manor and borough of Newton, within the same, to the effect that no Municipal Corporation has ever there subsisted.” Report from the Commissioners on Municipal Corporations in England and Wales P.P. (116) avi P.2814, 1835. M. D. Greville, Chronological List of the Railways of Lancashire 1828-1939, Trans. L. & C. Hist. Soc. Vol. 105, p.187. (6). Pigot & Co.s Northern Directory, 1834, p.495?6. (9). Pigot & Co s Northern Directory, p.495. (10). D. W. F. Hardie, History of the Chemical Industry in Widnes, I.C.I., 1950, p.12. (11). The Earlestown and Newton News, 1st September, 1956. (12). Built by Stephenson, p.13, 1957. Published by the Vulcan Foundry Limited. (13). Part of the village may, of course, have been built, since such legal plans need not show what is on the land leased. (14). Pigots Northern Directory, p.495. (15). Min. L/M Sub?Cttee. 15th September 1836, p.167. (16). Laurence Thompson, The Challenge of Change, p.35, 1956. (17). The Tramway and Railway World, “The Manufacture of Rolling Stock”, Vol. 1, No. 6, June 1892, p.205. (18). Earlestown Works, Centenary Publication, 1953, p.5. (19). Min. L.N.W.R. Low Sub?Cttee. Min. Div. P.88?89. (20). c.f. above page 118. (21). Min. L.N.W.R. Gen. Loco. Cttee. Min. 177, p.76. (23). Min. L.N.W.R. Loco. Sub-Cttee. Min. Div. p.95. (24). Earlestown Works Centenary Publication, p.5. (25). 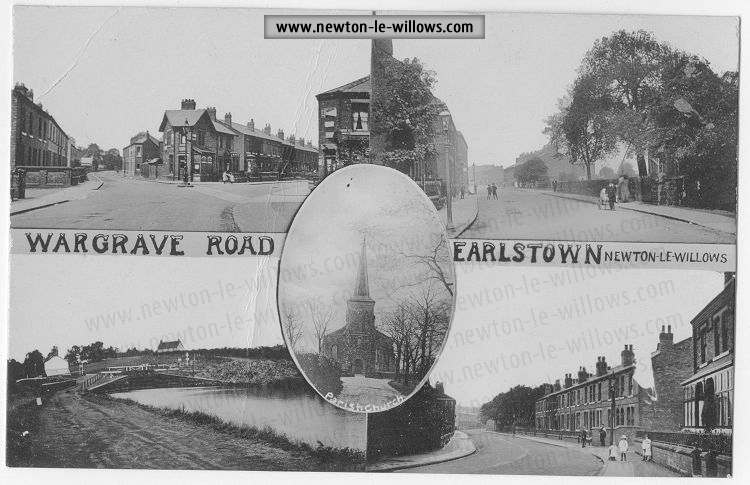 Earlestown was named after Sir Hardman Earle, a director of the L.N.W.R. 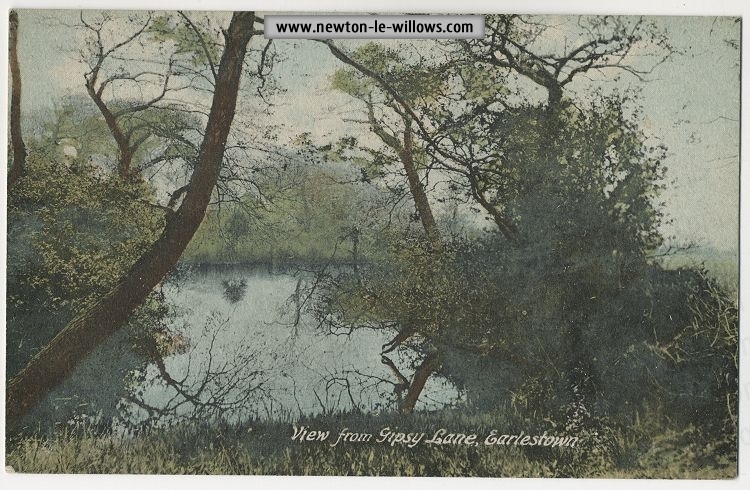 It was sometimes spelt Earls Town or Earlstown in the early years. (26). Min. L.N.W.R. Loco Sub-Cttee. Nn. Div. p.116. (27). Yet on 10th June 1853 the L.N.W.R. Works, Construction and Estate General Committee “Read a minute of the Board authorizing the erection of a number of cottages (not exceeding 200) near the Viaduct Foundry” p.175, Minute 395. (28). Min. L.N.W.R. Loco. Sub-Cttee. Nn. Div. p.121. (29). Min. L.N.W.R. Works etc. Gen. Cttee. Aug. 10th 1853, p.184, i in . 407. (31). Inf. supplied by Mr. C. H. Clark, the Legh Estates. from Min. L.N.W.R. Works Construction and Estate Gen. Cttee. (33). 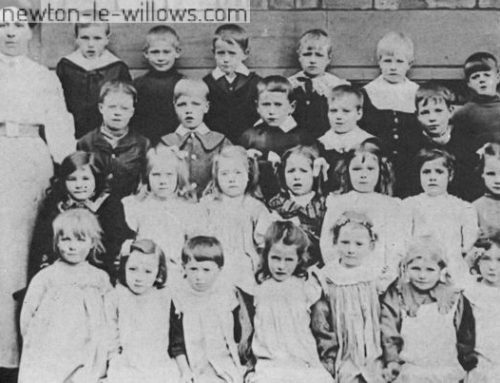 Much of the following information about the School is supplied by Miss E. Smith, the present Headmistress. (34). Min. L.N.W.R. Church and Schools cttee., 7th August 1856 (52). (35). Extract from the Trust Deed, 28th September, 1857. (36). Newton District Improvement Act, 18 & 19, Viet. Cap. o. (37). See O.S. six inch to one mile 1845 Sheet 108. (38). Min. L.N.W.R. Low Sub-Cttee. Nn. Div. Min. 227. (40). Min. of Evidence of Select Cttee. of House of Lords on the Newton-in-Makerfield Improvement Dill, 15th June, 1855. Evidence of William Mercer. (41). 18 & 19 Vict. Chap C. Section 20. (42). A Century of Nottingham History 1851-1951. (43). On the original there is no differentiation between houses, shops, stables, etc. (44). Min. N.I.C. 2nd December 1858, p.76. (45). Min. N.I.C. July 1864, p.171. (46). Min. N.I.C. Highways Conmittee,l4th November, 1870. (47). Min. N.I.C. 4th October 1869, p.279. (48). The date of the next map of Earlestown. See below, p.
(49). It is still in use today. (50). Min. N.I.C. 4th June 1888, p.525-6; Min. N.I.C. Highways Cttee., 18th June, 1888, p.18. (51). Min. N.I.C. 19th November 1888,p.25. (52). Local Govt. Boards Provisional Orders Confirmation (No.11) Act 1889. (53). Min. N.I.C. 19th December, 1893. (54). See Minutes N.I.C. Highways Cttee. at various dates. (55). R. Millward, Lancashire, 1955, p.82-83. (57). It was sold by auction in 1952. (59). Min. N.I.C. Highways Cttee., 7th March 1898, p.l. (60). It was about this time that Thomas Stone went bankrupt. Information supplied by Mr. C. H. Clark, Legh Estates. (61). Min. N.I.C. Highways Cttee., 9th May, 1870. (62). Min. N.I.C. Highways Cttee., 18th June, 1883 et seq. (63). ibid., April 1889 et seq. (65). Min. N.I.C. December, 1893. (66). The Superintendent of Wagons. (67). Min. L.N.W.R. Loco. Cttee. Min. Book 1, Min. 5791, 4th Oct. 1878. (68). See Deposited Plans, L.R.O. (69). 35 & 36, Vict. Chap. lxxxvii, Section 30. (70). 39 & 40, Vict. Chap. clxxx, Section 50. (71). See Dep. Plans, L.R.O. (73). See Dep. Plans, L.R.O. PDR/AN/1106. 1878. (74). Min. N.I.C. 3rd April 1871. p.315. (76). Min. L.N.W.R. Low Cttee. Lin. Book 5 Min. 2670. 3rd Oct. 1873. (78). Min. N.I.C. Highways Cttee., 21st May 1883, p.168. (80). Information supplied by Mr. Jesse Makinson, J.P., former under?manager of the Wood Pit, Haydock. (81). These wore: Baptist, Welsh Calvinistic, Wesleyan and Welsh Penial (Fig. 40). The three Welsh Chapels reveal the origin of many of the additions to Earlestowns population at that time. (83). Stephen Reynolds Clarke, The New Lancashire Gazetteer or Topographical Dictionary, 1830, pp.125-126. (84). Information supplied by the Rev. J. J. Broadhurst, Vicar of St. Peters Church, Newton. (86). The exact date of the scheme is unknown for none is given on the original plans there is no documentary evidence either. This date is approximate and is based upon the fact that the Winwick Golborne Railway is marked on the original; it was opened in 1864. (87). Information supplied by Mr. J. Unsworth, the Legh Estates. (88). Information supplied by Mr. C. H. Clark. (91). This came into existence in 1896. (92). Min. N.I.C. 17th December 1855, p.18. (94). Lin. N. I.C., 26th November, 1855, P.13. (95). ibid., 16th November 1863, p.149. (96). W. Lane, Newton-in-Makerfield, Vol.2, P.113 44.2. (97). Min. N.I.C Highway Cttee., 21st Feb. 1881, p.113. (99). This had been used as Recreation Ground since before 1900. Many thanks to Geoff Simm for the loan of this and other material.